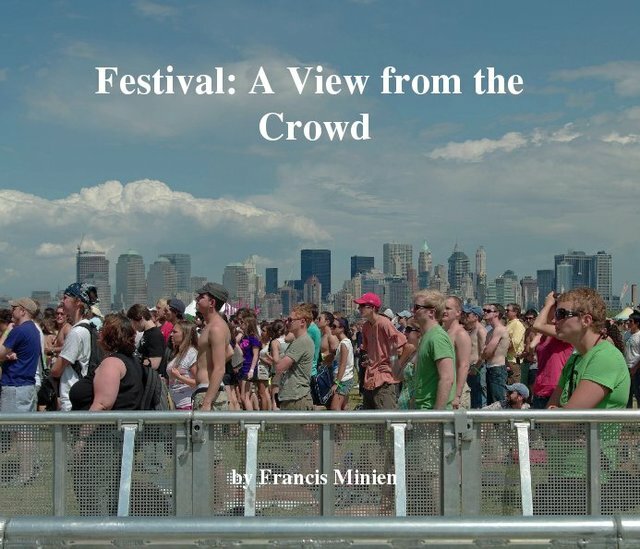 Festival: A View from the Crowd is an exploration of the Festival life and experience documented by Francis Minien over the past two decades since his first Festival experience in 1993. The photographs are not moments in music that we typically see in the journalism of the music festival scene, they are candid shots of Festival life, the experience we all sign up for. There are photographs of people and still life in somewhat documentary style, often with abstract or juxtaposed points of view. Why do we like music festivals? These photographs attempt to answer why, it’s the atmosphere, it’s the hedonism, it’s the laughs, it’s the music, it’s the sense of community, it’s the mud, its those fuzzy memories, the distant stage, it’s the camping, it’s the freedom to be whoever you want for a few crazy days. The Festival is bigger than any of the bands, and it’s the crowd that makes the festival. Francis Minien is a British Photographer from Reading, UK. He received his BA in History and Media Studies from De Montfort University (UK) in 1999 and completed his MA in Photography from De Montfort University in 2005. He is based in New York City. He spends a great deal of his photography time on the road; most recently spending 18 months living and working in India. His work is focused on his travels including street, landscape and abstractualism photography. "Our world is not perfect, but it is beautiful and there is beauty in the everyday. I seek the extraordinary in the everyday, the abstract in the actual. I lives, travel and explore my everyday world and capture what I see as the essence of our imperfect world."